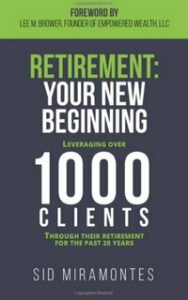 Posted at 11:37h in retirement planning by Brett F.
In our many years of helping people accomplish their retirement goals, we’ve answered a lot of questions. Here are a few of the most common questions about retirement. 1. Do I have enough to retire? This is probably one of the most common concerns shared by upcoming retirees, and rightfully so. Knowing the exact amount you’ll need and what you actually have can be tough to figure out, but Miramontes Capital can help. We examine each case individually to ensure you get the most accurate depiction of your retirement. We’ll have to take a look at your portfolio and the savings you have to see if it would be enough to maintain your current lifestyle. To do this, we’d love to set you up with a one-on-one consultation with Sid Miramontes so that he can give you the best personalized advice for you. 2. 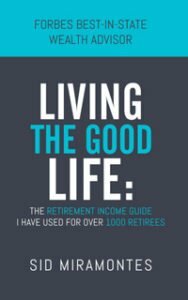 Will my money last in retirement? This common question stems from a very understandable fear. Everyone wants to retire with confidence in their savings. To do this: have a plan beforehand. Have an idea of how much you will need before you retire and work with an advisor to create a plan. With Miramontes Capital, we can help you plan your monthly budget in retirement and figure out how much you’ll need to help your money last. With a plan in place, making money last is achievable. 3. When should I take social security? There isn’t a perfectly clear answer here. Taking out social security is a personal choice. Some choose to take it early because they need money in that moment and don’t mind that it won’t be the full payout. Others wait until they can get the maximum payout. The choice isn’t an easy one and should definitely be considered with your monthly budget and other payment methods you have. Social security isn’t designed to be your only retirement money. Consulting with a financial architect at Miramontes Capital can help you calculate numbers to see how social security can fit best with your savings and lifestyle. You should leave this workshop feeling confident in what your next steps should be, whether you’re 2 years away from retiring or 6 months. This is your chance to get your questions answered – once and for all!